Give your bass a new voice with a custom Bartolini on-board preamp. 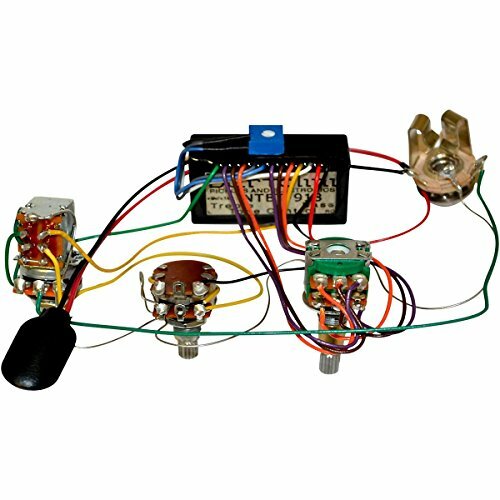 These harnesses are prewired for easy installation and offer a variety of configurations to meet your needs. 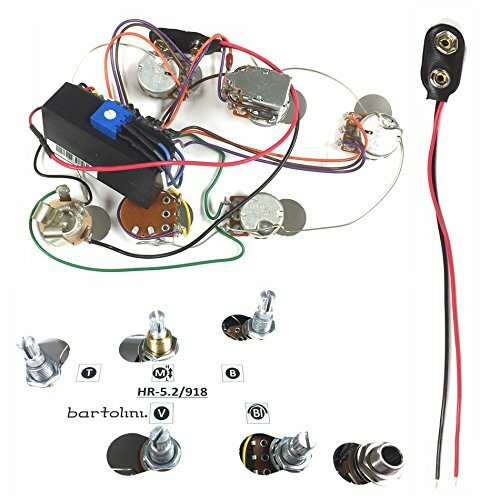 Bartolini is one of the most respected & trusted pickups & electronics builders in the industry and offers some of the finest electronics using only the highest-grade materials. Every Bartolini preamp & pickup is hand-built right here in the USA. All preamps feature a Gain trim pot on the module for fine-tuning, and all tone & blend pots feature smooth action & center indents with 6mm knurled split shafts. Controls knobs with set screws are recommended, but not included. Controls are: -Volume with Push/Pull switch for Active/Passive modes -Pickup Blend -Bass Boost/Cut -Mid Boost/Cut -Treble Boost/Cut -3-Way toggle switch for Mid-frequency selection (switch between 250 Hz, 500 Hz, and 800 Hz) What's in the box: (1) Pre-wired Preamp Harness (1) Extra Battery Connector for 18 Volt installations (requires soldering if used) (1) Wiring Diagram PLEASE NOTE: Preamps that have been installed or attempted to be installed are not returnable unless defective. Check to make sure you have the correct control configuration & check the fitment before attempting to install it. 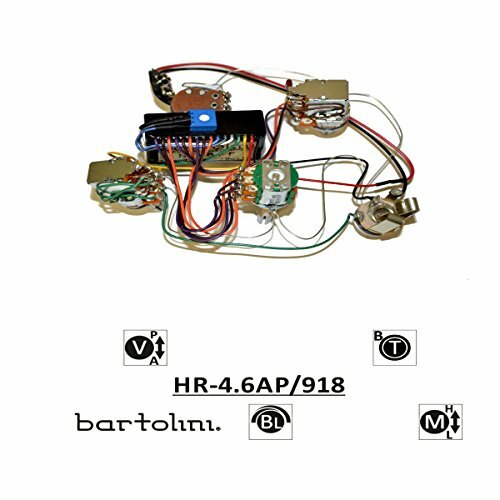 The Bartolini HR-4.7AP/918 prewired EQ harness saves the time and aggravation of wiring a preamp and pots into your instrument. 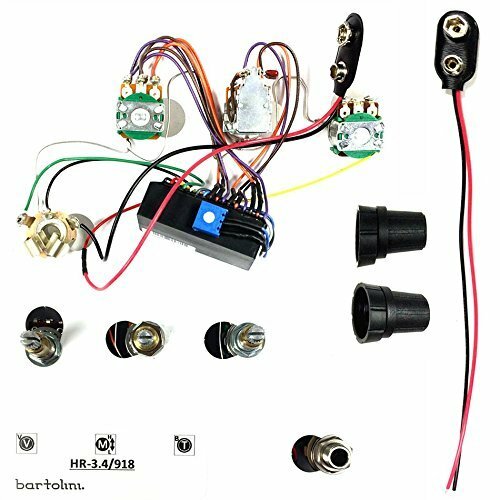 The HR-4.7AP/918 features Bartolini's industry leading NTMB-918F 3-Band Preamp and premium audio-quality potentiometers with smooth control and ready for years of rugged use. 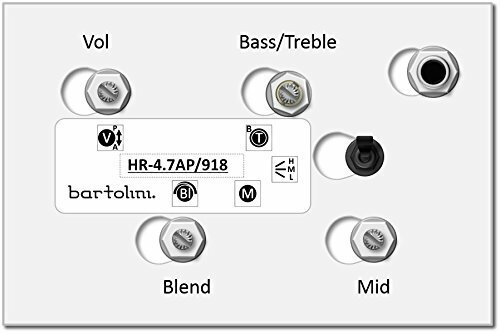 The HR-4.7AP/918 uses a 3-band EQ and preamp. 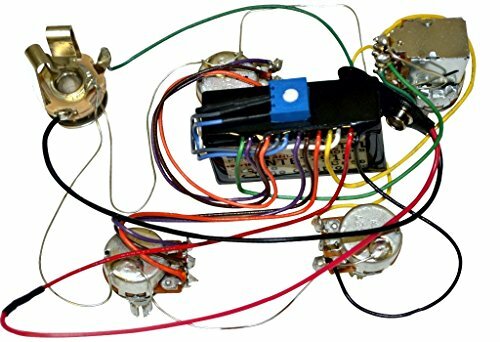 Includes one Volume control with Active/Passive push-pull switch; one Blend control; one Treble/Bass concentric stacked control; and one Midrange control with a toggle switch to select from three different midrange frequencies (high/med/low). 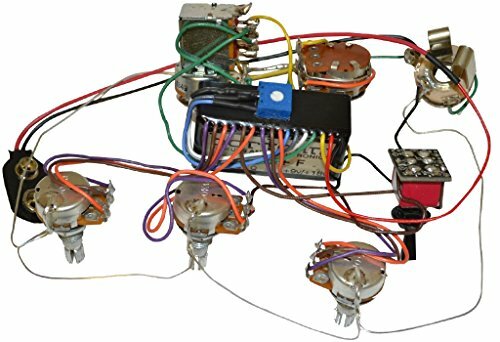 Includes battery holder and 2nd battery clip (18V option), wiring instructions, black ring & center knobs for tone stack. Bartolini Pickups and Electronics- are recognized around the world as the standard in guitar and bass guitar tone with the broadest selection to fit almost any instrument and sound. Based in San Luis Obispo, California, Bartolini builds pickups and electronics for some of the most respected luthiers around the world and also supply to service-oriented retailers who offer upgrades and replacement parts. All Bartolini products are 100% USA manufactured and supported. Bartolini's mission is to offer superior tone for musicians playing stringed instruments worldwide; for all genres of music. 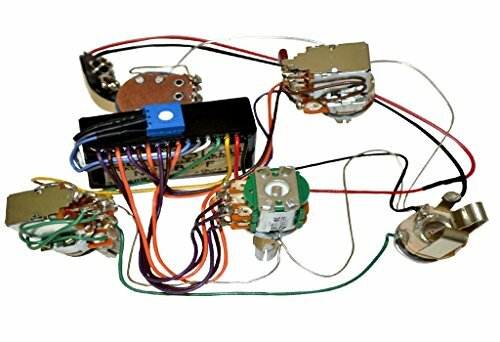 Their comprehensive product line of pickups and electronics can be mixed and matched to express the individuality of any player. Want more Bartolini Bass Preamp similar ideas? Try to explore these searches: Blend Mineral Makeup, Buick Regal Color, and Golf Birthday Cards.